KC Cariappa known as Konganda Charamanna Cariappa is a new talented player for Kolkata Knight Riders in IPL 2015. He is a young leg-spinner and an off break bowler who plays for Karnataka Cricket Association. He played for Bijapur Bulls in Karnataka T20 Premier League (KPL) and soon got picked by KKR in this year's IPL auctions. His bowling action, records and stats say that he is equally deceptive and threatening in comparison to Sunil Narine, the most successful player for KKR in IPL ever. Cariappa started his career playing for Bijapur Bulls in a local T20 Tournament known as Karnataka Premier League. Last year, he got the opportunity to bowl in the nets for KKR as a part of practice for newcomers. He grabbed eyeballs when his action was not readable by single KKR batsmen during the practice session. Soon A.R.Srikkanth who is a team analyst for Kolkata Knight Riders started keeping a track on this young lad. Cariappa rose to the occasion when he finished among the top 3 wicket takers during the KPL tournament last year. After his promising performance, he was selected by BCCI and Karnataka Cricket Association to play for the state in Ranji Trophy this year. However his performance has been sedate and consistent yet again in the Ranji Trophy. He is basically a leg spinner who has lots of variations including the famous carrom ball for which Ashwin is known for in Indian team. He is also working upon as an off-spinner by varying his line and length in bowling action. His career took off from Bengaluru's famous cricket club known as Socials Cricket Club where he practiced his bowling day in day out. At 5 feet 11 inch, Cariappa is a tall bowler having an orthodox round arm similar to Sunil Narine. His ability to deceit the batsman in flight could well prove to be a weapon in KKR's mystery this year. 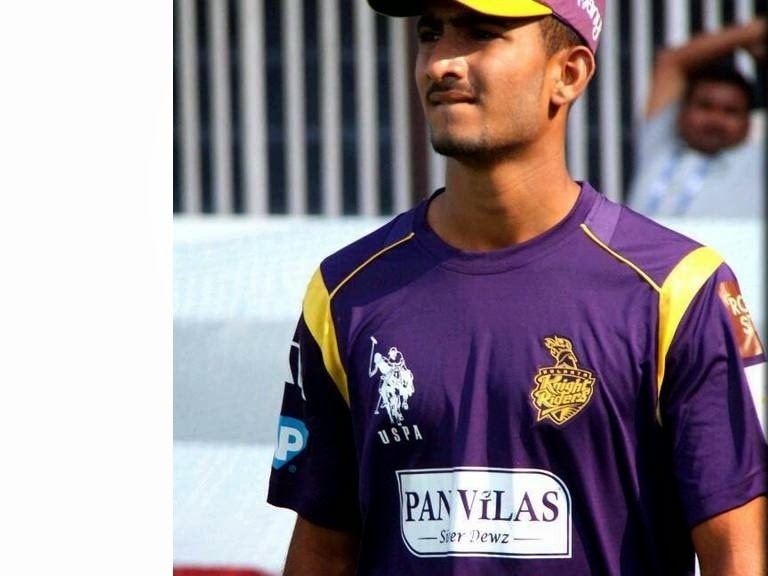 This year Kolkata Knight Riders paid the highest sum for KC Cariappa in this year's IPL Auctions. His performance was tracked by A.R.Srikkanth who was the manager for Bijapur Bulls in KPL tournament last year. He was tagged with the base price of Rs.10 lakhs in the auctions which went whopping to Rs.2.4 crores paid by KKR in a close contest with Delhi Daredevils. When asked about his inclusion in KKR's camp, he replied frantically that he never expected to get that amount! He went clueless about this name in the auction and only expected the base price to fetch for him. Venky Mysore, team owner of Kolkata Knight Riders said after the auctions, that they look for young talented cricketers and Cariappa was one among them. They had kept an eye on his bowling since last year in various forms and his inclusion in IPL was just a mere formality for this talented young lad. Off late, KKR has been the most successful team when their spinner's comparison are done with others. Their huge success in three to four campaigns in IPL has been mainly attributed to the likes of Shakib Al Hasan, Sunil Narine, Sachithra Senanayake and local Indian talent. This year too, it would be a feast to watch this young spinner making inroads into opposition's batting lineup.